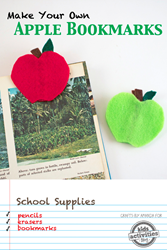 A cute apple bookmark craft and over 100 science experiments have been published on Kids Activities Blog. Get ready for back to school with fun crafts for teachers and friends. Cute red and green apples make gifts for friends and teachers. Back to school is just around the corner. A cute apple bookmark craft and over 150 science experiments have been released on Kids Activities Blog. Have fun making bookmarks together with the kids. The apple book mark craft makes a colorful accessory for the new assigned reading book. The clip even makes a perfect teacher's gift or gift for classmates. Supplies for the fun craft are metal hair clips, felt in various apple colors, scissors, a hot glue gun, and the apple pattern published on Kids Activities Blog. Begin by printing two sets of the apple pattern and cut it out. Put the pattern on the felt and cut out the apple parts. Then follow the instructions to glue the pieces onto the hair clip. The apple hair clips make perfect book marks or keep several pages neatly in place. Kids love science experiments. Seasoned Moms are sharing 150+ science experiments for kids of all ages. The laundry list of science experiments include a magnetic mud project, a cabbage head pH project, and many food related projects. Science experiments can teach life lessons. A parent led fire experiment and a naked eggs will both amaze and teach kids life long lessons. A simple water drop experiment teaches surface tension. Density can be taught with a variety of colorful liquids that can be found in the kitchen. Dissect a bean is fun and teaches about life. Younger kids can learn a lot with a fun dancing raisin project. The list is endless. 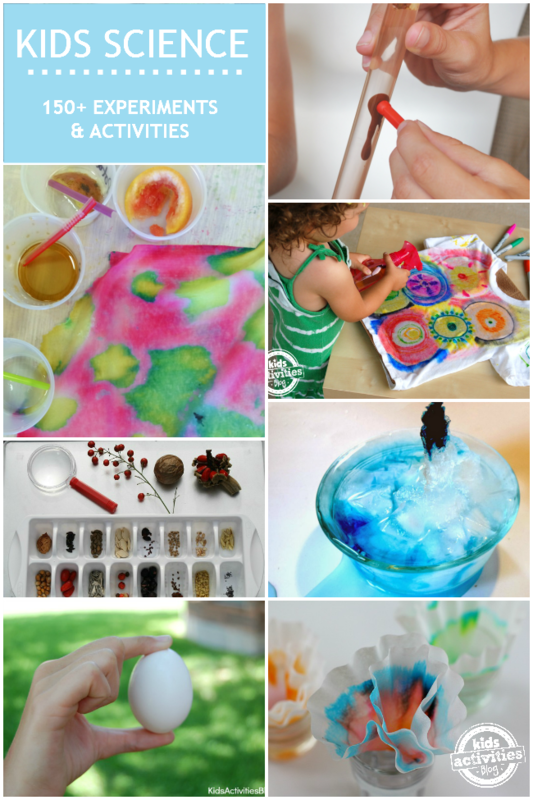 For detailed instructions and to get additional fun ideas, check out Kids Activities Blog this week. Come get inspired to make fun crafts together with the kids.